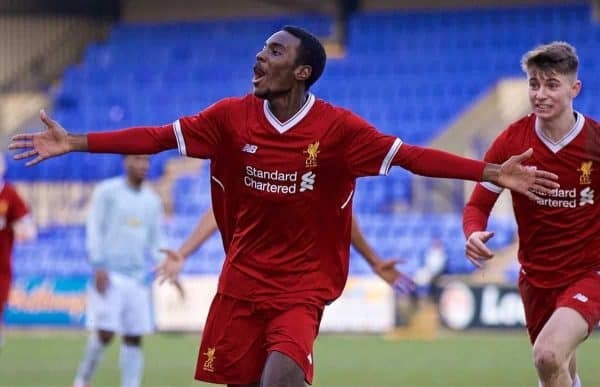 After a week to remember for academy winger Rafa Camacho, what can Liverpool expect from the latest young talent making waves at Melwood? Over the space of a week, the Reds academy has seen a host of positive developments after a tough run of games before that. Steven Gerrard’s U19s sealed their place in the last 16 of the UEFA Youth League through a hugely impressive 2-0 victory over rivals Man United. That was followed by Elijah Dixon-Bonner signing his first professional deal with the club, having established himself as part of the young group bridging the gap between U18s and U23s. Gerrard then saw a youthful U18s side secure a 2-1 win over Wolves, with Remi Savage and Jack Bearne both scoring on their full debuts. Then Neil Critchley handed Nathaniel Clyne make his first appearance in seven months, playing the full 90 minutes in the U23s’ 4-0 triumph over Stoke in the Premier League Cup. It was a landmark stretch for a host of individuals, but arguably the standout is Camacho, who has risen from fringe figure at Kirkby to a player on Jurgen Klopp‘s radar. Like Dixon-Bonner, who left Arsenal for Liverpool in 2015, Camacho was poached from one of the Reds’ Premier League rivals, joining after a two-year spell with Man City in 2016. Camacho had struggled to settle in Manchester following his switch from Sporting CP, spending the final six months of his time with City back in Portugal on loan with Real SC. 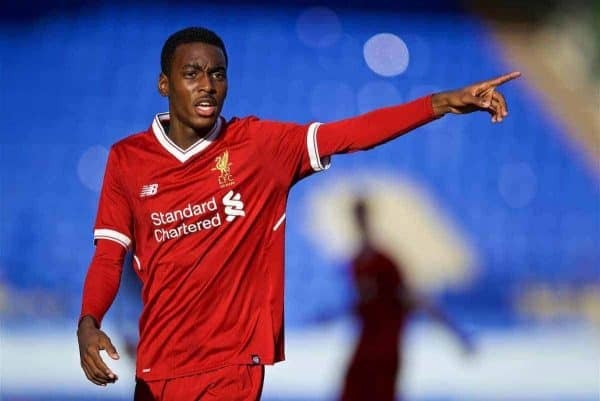 He immediately moved into the U18s squad, playing regularly throughout 2016/17 as he started in 13 of his 20 league appearances, scoring four goals, and kept his role under Gerrard this season. The Portuguese was one of eight ever-presents in the UEFA Youth League group stage, while only Rhys Williams, Anthony Driscoll-Glennon, Edvard Tagseth, Liam Millar and Curtis Jones made more appearances for the U18s in the first half of the campaign. Only Jones (11) and Millar (14) scored more than Camacho (nine) before the turn of the year, with this improved end product setting him apart from another young winger, Bobby Adekanye. Though a year younger than Adekanye, Camacho is more physically developed and more versatile, able to play on either flank or in a more central role, while Gerrard has often used him as a wing-back. 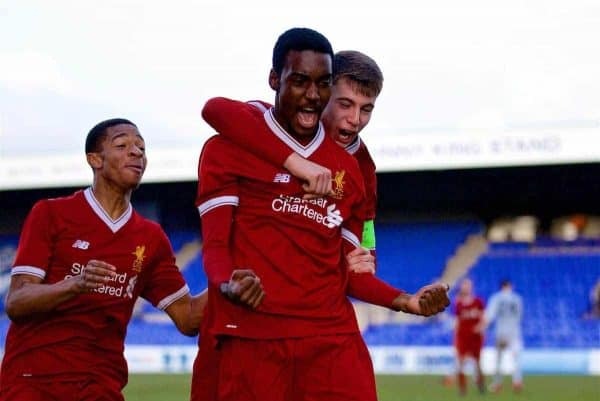 It was further forward where Camacho kicked off his remarkable week, and it came after replacing Adekanye in the latter stages of the U19s’ clash with United at Prenton Park. With the young Reds already coasting towards the last 16 through a first-half header from Ben Woodburn, Camacho picked up the ball on the right flank, cut inside onto his left and unleashed a sensational strike into the far corner. 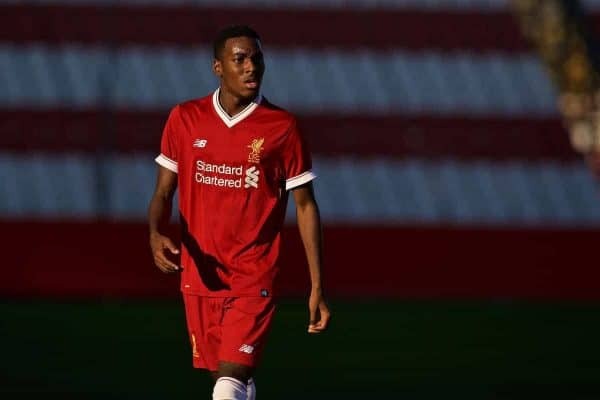 Substitute Rafael Camacho puts Liverpool U19s 2-0 up against Manchester United U19s. Most importantly, Camacho recognised the importance of scoring a second goal late on, saying it “calmed everyone down,” which clearly resonated with his manager. “Rafa coming on and creating that bit of magic certainly helped the team breathe towards the end of the game because we knew it was going to get tough,” Gerrard said, and he wasn’t alone in acknowledging his talent. A day later, Camacho and Jones were both called into Klopp’s squad for first-team training at Melwood. He slotted in well with the Reds in high spirits following their short break in Marbella, benefiting from an academy reshuffle prompted by a host of January departures. Lloyd Jones, Corey Whelan, Matty Virtue, Cameron Brannagan, Ovie Ejaria and Harry Wilson all left the club either permanently or on loan in the winter window. All six had played a regular role for Critchley in the first half of the campaign, leaving the coach with the unenviable task of reshaping his squad mid-season. Alongside Dixon-Bonner, Jones, Millar and Adam Lewis, Camacho has been among those to make the step up from the U18s, and he made his second start for the U23s just four days after his stunner against United. Against Stoke at St George’s Park, Camacho performed with a blend of flair and industry, and it was his hard work that instigated the move that saw Jones lay on Dominic Solanke‘s hat-trick goal. Camacho is an interesting talent who has honed his game swiftly this season, with his work ethic, awareness, skill and pace allowing him to transition from defence to attack with ease. 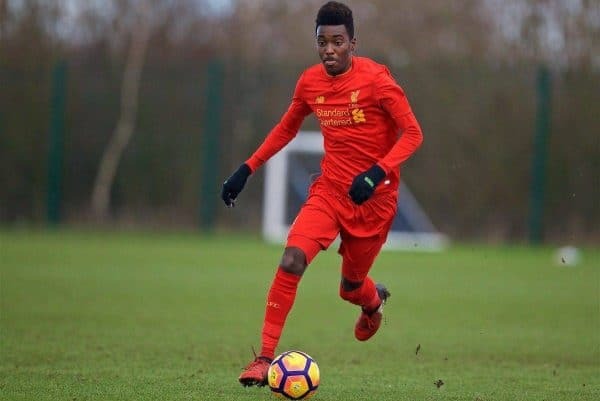 At just 17 he has time on his side, and has already caught the eye of Klopp, who named him as part of the club’s “next generation,” praising how “the level doesn’t drop” when he and his fellow youngsters join the senior squad for training. This was hammered home as Camacho and Jones again took part in preparations under Klopp two days on from their impressive contribution against Stoke. It is likely to be a while before he is considered for a first-team berth, but as Camacho’s dream week proved he is able to quickly make his mark. Cast aside by City, Camacho has further fuel to impose himself as a long-term option at Liverpool, and the early signs certainly suggest he has a chance of doing so.